Today’s Flash Back Friday comes from Episode 204, originally published in February 2014. 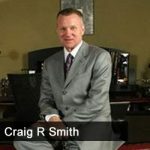 Craig R. Smith is the Chairman of Swiss America and author of, The Great Withdrawal: How the Progressives’ 100-Year Debasement of America and the Dollar Ends. He joins the show to give good examples of progressives today. The conversation then shifts to how American citizens can decentralize and diversify their lives to survive and prosper. Smith shares some ways that people can protect themselves and their families in today’s shaky, vulnerable economy.